Relative to other primates, human children enter the world underdeveloped, namely when it comes to our brains. Human gestation would require an additional 9 to 12 months for babies to obtain the same neurological maturity as chimpanzee newborns. As a consequence, our first exposure to the real world sets our developmental trajectory. This rule may apply most acutely with a baby’s first touch, based on new research from Vanderbilt University and Nationwide Children’s Hospital. Their findings show a baby’s earliest encounters with touch dictate how a child will later perceive caresses and other tactile stimulation. In particular, early medical procedures can dampen a premature child’s ability to perceive gentle touch in the long run. But rather than toss blame or simply outline deficits in kids, the study presents a new test for determining how to interact with newborns to ensure their sensory development remains on track. Maitre reached this conclusion by analyzing the brain activity of 125 newborns (59 full-term and 57 preterm). Each child strapped on an electroencephalogram (EEG) helmet, which tracked their brain responses to gentle puff of air against one of their hands. As a control, the researchers used to a “fake” puff that the baby could still hear, but that was directed away from the hand. 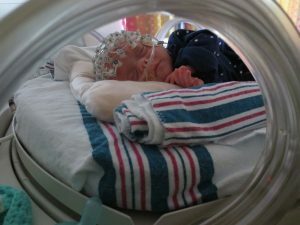 They found the brains of full-term infants lit up with consistent activity within precise time windows, but premature infants reacted differently. Many factors may influence this contrast. When babies sit in a womb, they receive continuous tactile stimulation. The compression and contractions of the uterus swaddle a baby’s sensory system, but also insulate it from the stress of things like gravity or changes in temperature. The same buffering occurs with the other senses. Most of this sensory exposure for preterm children isn’t inherently harmful, but it is atypical relative to spending one’s final gestational weeks inside a womb. Maitre said this atypical experience may explain why many preterm infants can find a touch — even a gentle one — unpleasant, or why some fail to react or overreact to sounds. Slater was drawn in particular to the study’s findings on pain. The investigation showed supportive care — breastfeeding and skin-to-skin care — elicited a stronger brain response in newborns. Meanwhile, painful experiences — medical procedures that involved skin punctures or tube insertions — dampened a child’s response to touch. This suppression occurred even though these medical procedures included the use of pain relievers, like pediatric opioids, or sugar water. 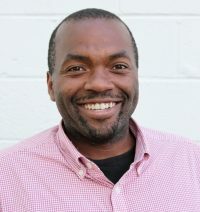 Likewise, Slater’s group has found medical remedies may unintentionally mask behavioral responses to pain. What does all of this info mean for doctors and parents? 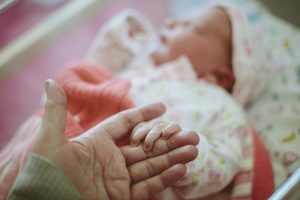 By establishing a clear pattern of brain activity for a regular response to touch, Maitre and her colleagues created a benchmark for measuring the effectiveness of neonatal care. As they write in study, published in Current Biology, “NICU treatments used to improve neurodevelopmental outcomes rely heavily on touch,” and the team plans to dig deeper into what types of touch are the most beneficial in the long run. Meanwhile, Maitre recommends that parents take advantage of NICU follow-up clinics if possible. Doctors can gauge if a child’s tactile sensitivity and whether the infant is either unaware or too aware of their senses. Sign up to get our Science email.